August has always felt more like the end of the year to me than December. I suppose it's because I've spent more than half my life with school starting in September, and the whole event feels much more significant than just one evening surrounded by tons of hype that never seems to measure up or mean quite as much as you'd like it to. But August, when there are just four more sweet summer weekends left and it's a mad dash to cram it all in - it feels like such an ending. 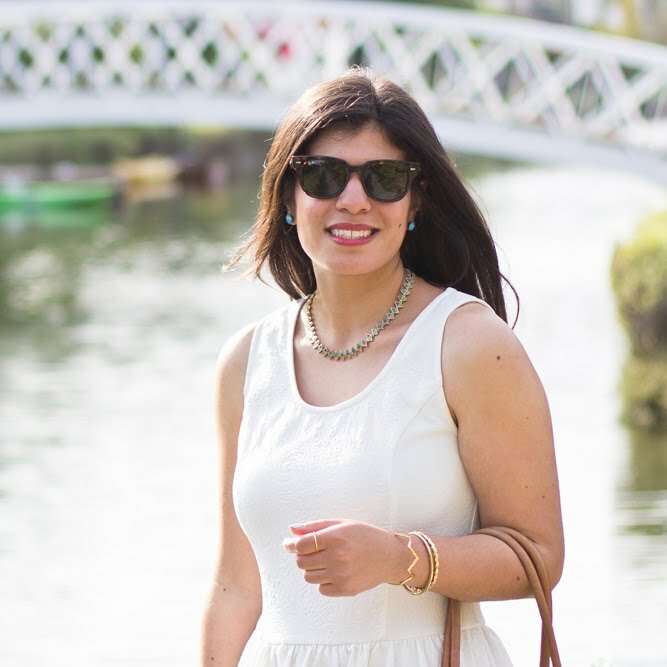 All month there's that nagging that thought that summer might slip away again before you've crossed all those to-dos off the list; places and people to visit, outfits to wear, experiences to be had. One summer experience I'm not getting: Fabulous Resort Getaway. So to start August, lets pretend I am. I'm supposed to create my own and tag eight others, but it will take me a million hours to think of 16 questions and decide who to pass them too, so I'm just going to answer! I've always been awful at keeping a journal, but it's something I wish I did more of. The blog gives me a sense of obligation to write, and is a great creative outlet. Though I never thought it would grow this large and offer such a wonderful sense of community. 2. What's your favorite kind of ice cream? 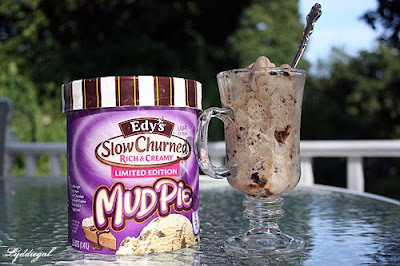 Edy's Mud Pie. Half fat coffee ice cream with oreo cookies and fudge swirls. Don't bother with the Bryer's version, it's awful. 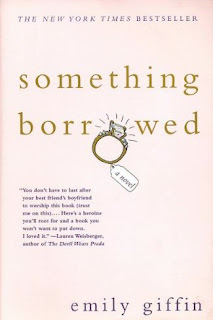 My favorite summer read is Something Borrowed by Emily Giffin -- I read it every year because it makes me laugh and makes me believe that I can someday have my romantic happy ending. 4. What do you like most about your day job? 5. What's the most amazing place you've ever visited? Italy was really incredible. I'd definitely love to go back. Definitely heels. I need all the height I can get, and clothes just seem to look better in heels! 7. What do you always carry with you? I always try to carry my confidence; it's important to keep close by. 8. What's one beauty product you can't live without? Something to put on my lips, nothing is worse than when they look or feel dry. 1. What is you all time favorite store to shop in? TJMaxx, because I love being able to afford everything. While there are far nicer shops that I enjoy visiting, with wonderful ambiance and luxurious items; if I can't actually buy anything, I wont ever have that good a time! 2. Use one sentence to sum up what your personal style is. Bold and quirky trying to be classic and chic. 3. Do you shop online? if yes what is your favorite website? 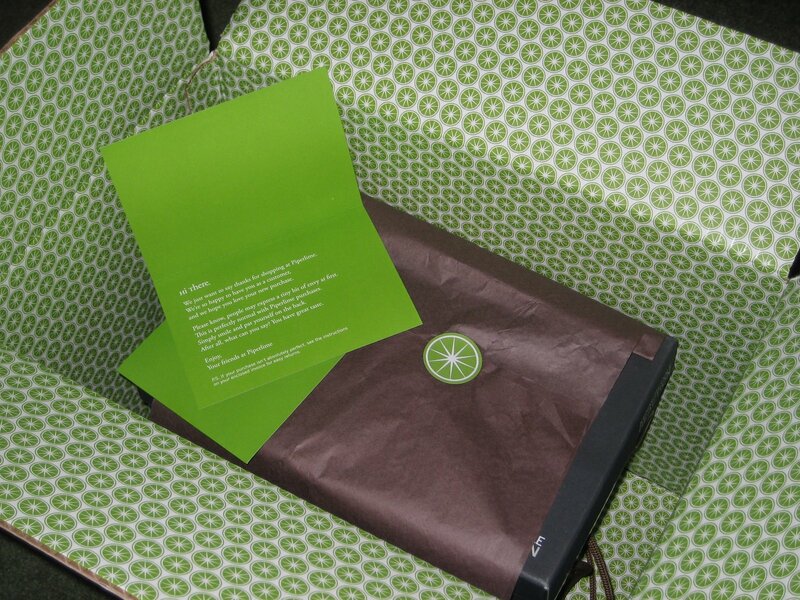 Yes, I like Piperlime for shoes, free shipping and returns, plus your shoes always come in a cute lime covered box and wrapped in tissue. I love attention to little details. 4. You have been given some money to spend on your self. What are you going to use it for? How much money? Beach Resort Getaway? Bigger closet? New shoes? 5. What is the first thing you do when you get home from a hard days work? Remove shoes and accessories, have dinner, put shoes and accessories back on for outfit photo. 6. What is your favorite thing to do with your girl friends? Get dressed up for a night out. 7. If your house was on fire and you could save something from your closet what would it be? 8. What is the most expensive thing in your closet? I think it's actually a $120 tie between these leather boots and this coat. I love the light, airy colors in your outfit! Those shorts are too cool. 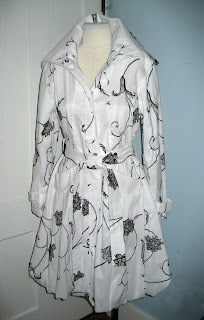 I have been meaning to stop by and say thanks for the tips on sewing. I have yet to figure the whole thing out. I guess after that I will chose a fabric. I know how awful it is to have magnificent weather and then have to work. I went on vacation at the beginning of the year but I really need another one pronto ! Love this :) DSW does the same thing with their shoes! Ooo I love that teal color on her toes and the coat in the last pic. Its really hard to decide what item I would save from my closet if I could just pick one thing... and yes it makes such a difference when packages come in the mail wrapped up all pretty - always a pleasant surprise! I agree...totally heels over flats! And if I had to choose one thing from my closet, I would grab my favorite pencil skirt in the event of a fire too. Love the earrings, they are so pretty. I have been in love with teal this summer! I've worn teal nailpolish at least every other week so far. And I love that coat, it's very cute. And your earrings are adorable! I LOVE the boots and the coat at the end. Good investment! Loved reading about you Lyddie! That coat at the end is so enchanting! It has a beautiful pattern and black and white? will never go out of style. And love your sister's real teal, bedazzled goodness! the blue polish is so fun! i don't want summer to end, i definitely feel that feeling like i need to be cramming it all in. It's not as hard saying goodbye to Summer for me. I think in the UK, we're so used to the weather changing from hot to cold even in the middle of Summer that we're always ready of Autumn. That jewelry box has amazing stuff! I love the look of heels but my poor feet can't cope - the height that comes with it is so appreciated though! This was so great! So many questions to answer, but so insightful as well. I'm with you on Italy...and Piperlime does have the best packaging around! I am seeing teal nail polish everywhere! Okay, I think I need some of that ice cream. I love your faux Beach Resort Getaway look. Love, love, love it! i love your answer to number seven. and that coat.. omgsh. its beautiful! I don't want this summer to end! I need that MudPie ice cream in my life, pronto. great reading more about you and getting to "know" you...I love attention to detail like things from Piperlime, too, fun! Italy is quite beautiful, we went last year to Venice. And I hear ya, heels if I can, I'm a shorty...have a great day! This was such a fun post! I enjoyed reading more about you!! I like Breyer's for their classic flavors and Edy's for the crazy ones! Great teal toes. 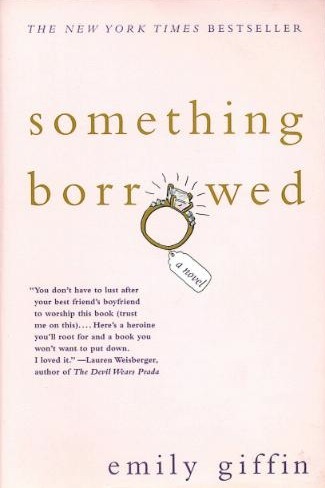 Love Something Borrowed, too. It's a sweet read. beautiful earing with beautiful person. lovely! 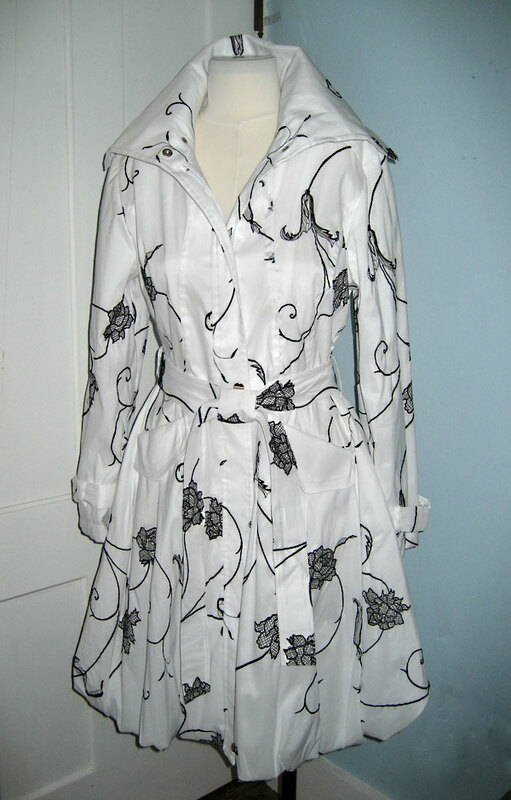 Love your coat and your cute summer outfit! It's freezing here! Love the coat. It's worth the money you spent. And great answers too! Love this post! It's absolutely fantastic :) And so interesting! Thankyou so much for the lovely comment, and sorry for not getting back to you sooner! I AM SO WITH YOU. I've actually NEVER really been sentimental about New Year's. I'm such a party pooper, but I really don't do any of the New Yearsy-ooh-fresh-start kind of things! September, on the other hand, is DEFINITELY symbolic of a fresh start! Especially as a high school student, whose days are marked by, you know, high school and summers and stuff. And am I even making sense? HM. Moving on. You look so ADORABLE AS ALWAYS. I'm loving the colours - purple and turquoise are so vibrant and fun together! And I loved reading all these answers! I've never heard of that ice cream but OOH IT SOUNDS DELICIOUS. I LOVE the pink/purple colors in your outfit! And the teal nails! Kisses and hugs my dear! That coat is just beeeeeeautiful lady! August definitely has a different feel when you're going back to school soon! Great answers! I love that you admitted that you get dressed just for outfit posts. Me too. And your shoe addiction...I love it! PS: Your sister should be a foot model! i wanna get a bunch of turquoise bits...i dont have any and they're so pretty!